Posted on May 6, 2016 at 1:04 am. 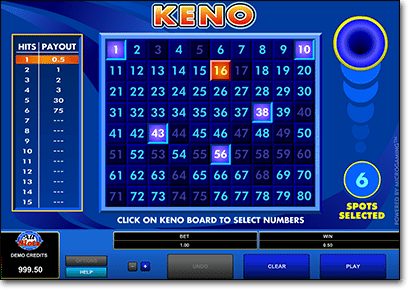 All Slots Casino is one of the leading real money keno sites on the Web, and for the month of May there’s more incentive than ever to play at this industry leading casino. All Slots has just launched an exclusive Scratch & Win promotion, giving registered players three scratch cards to unveil throughout the month to reveal some incredible prizes. All you need to do is head to AllSlotsCasino.com, go to the promotions tab and click on the Scratch & Win advertisement. Enter your All Slots username into the empty field and hit the ‘Scratch Now’ button to uncover your rewards. The major prize draw will take place on the 22nd of May, with $25,000 in prizes to giveaway. The only way you can earn a raffle ticket to the prize draw is to uncover tickets on your Scratch & Win card, or by earning loyalty points playing real money games at All Slot Casino. If you’re new to All Slots, sign up ASAP to be part of all three Scratch & Win rounds. New players who register for an account at AllSlotsCasino.com using our links will be welcomed with up to $1600 in bonus money spread out over your first four real money deposits. Sign up to claim your scratch prizes today. 2004 - 2017 OnlineKenoSite.com. All rights reserved 18+ Gamble responsibly.